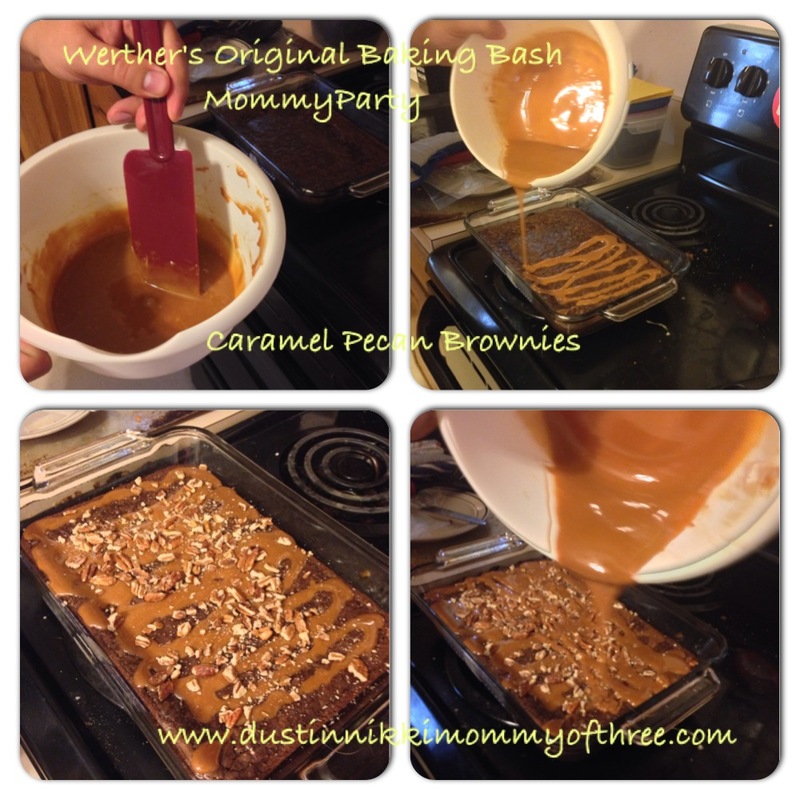 Caramel Pecan Brownies – I recently received an opportunity to host a Werther’s Original Baking Bash Mommy Party and was sent a free kit that included free Werther’s Original products to host my sponsored Mommy Party. 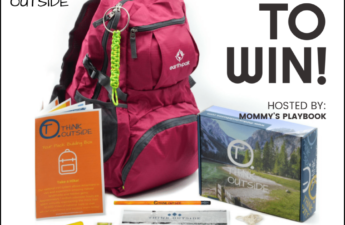 Included in my kit was Werther’s Original Caramels so we can bake yummy treats along with information, activities and recipes. Also included were $.50 off coupons to pass around to my party people. I totally forgot to put them in my picture! 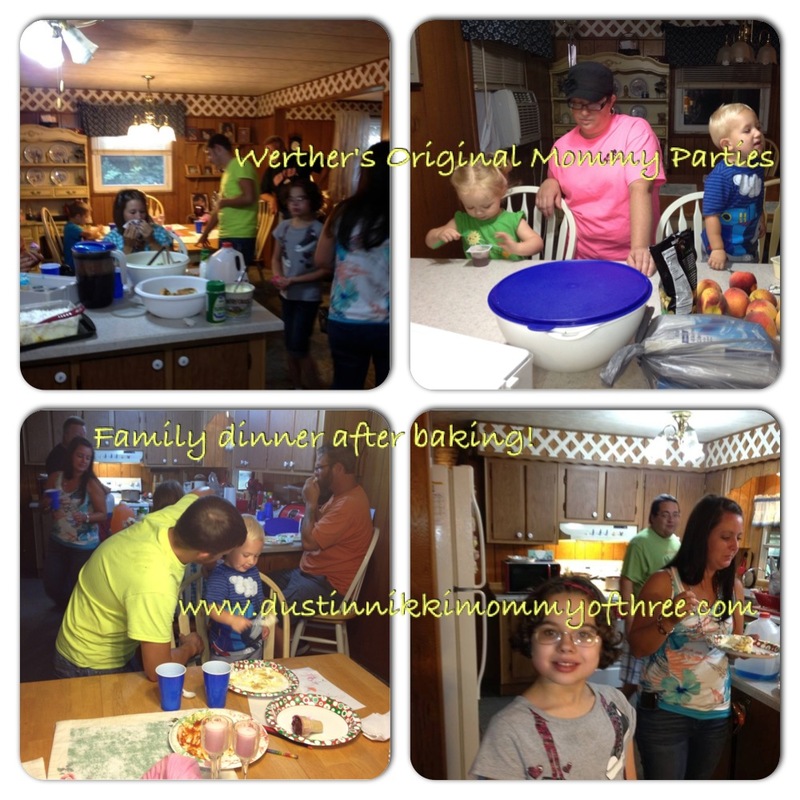 After we spent time in the kitchen baking, later that evening the rest of the family came over for a family dinner. Of course we had plenty of caramel deserts! After we were finished with dinner, all the kids had fun because some of us decided to make caramel apples and the kids helped. I do have to say that Werther’s Original Baking Caramel is awesome! It’s very easy to work with and the caramel melts creamy when baking with it. It tastes really great and is also tastes great just to unwrap and eat them as they are. 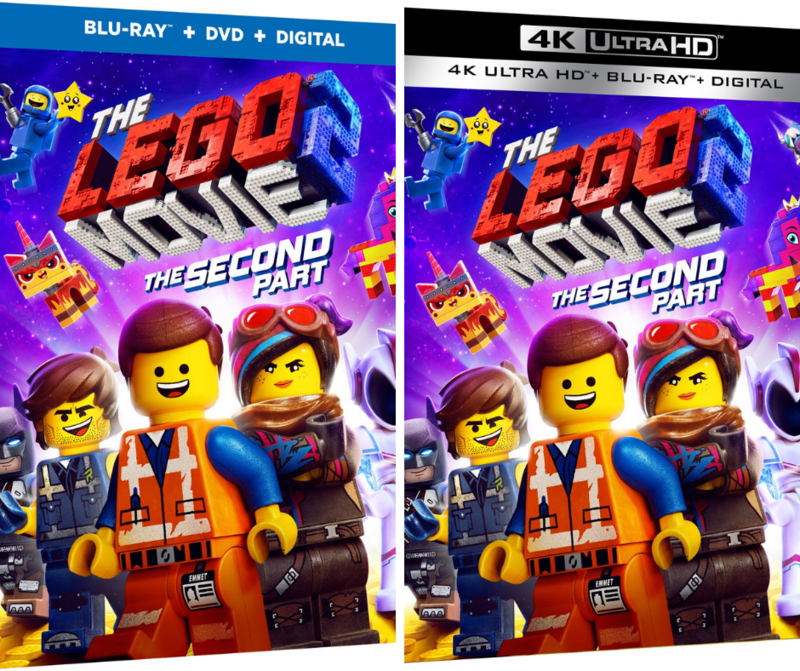 Awesome texture and another great thing? Well, I LOVE caramel but one thing that always bugs me about caramels is that they usually stick to my teeth. Not Werther’s! 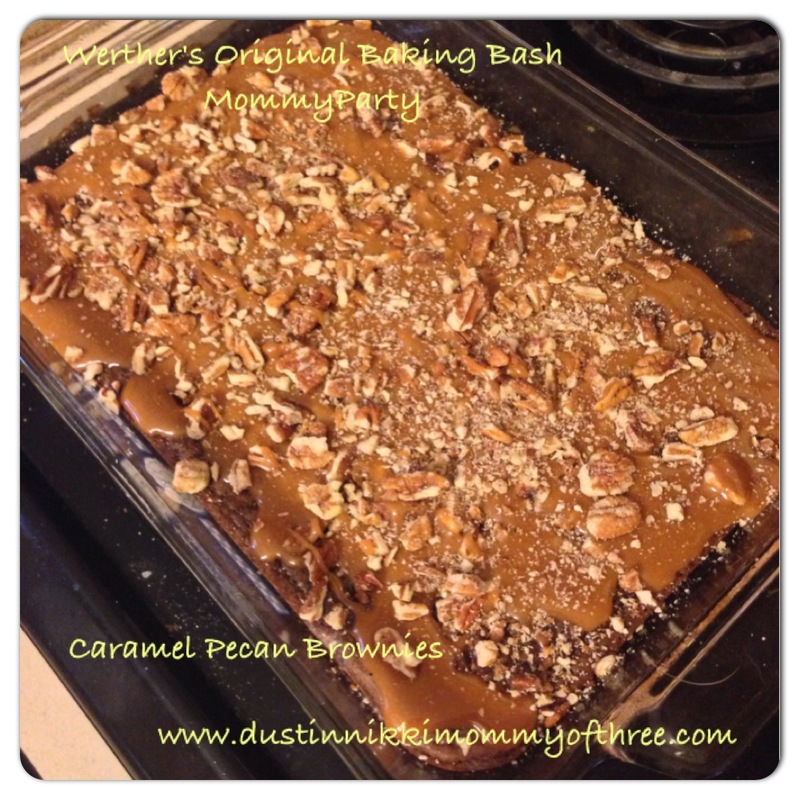 One of my favorite recipes was the Caramel Pecan Brownies. The recipe is so simple and it’s basically a recipe to make plain box brownies more exciting. You make your brownies as directed on the mix box and add caramel and pecans to it. All you need is one package (9 oz) Werther’s Original Baking Caramels, 1tbsp milk, 1 tsp Vanilla extract and 1 1/2 cups chopped pecans. Melt the caramels with the milk in the microwave and stir it. Add the vanilla then drizzle over your brownies after they are done. Then add the pecans on top. You can also serve with ice cream! Check out the recipe card below. You can also print it if you like! All instructions are below, I no longer have a recipe card. Preheat oven and spray 13 x 9 inch pan with non stick cooking spray. Prepare and bake brownies according to the instructions on the box. Let cool 10 minutes after baking. Microwave caramels (unwrapped obviously) and milk in microwave safe bowl on high for about 2 1/2 minutes or until they are melted and stir after 1 1/2 minutes. Then stir in vanilla extract. Next, drizzle the caramel mixture over your baked brownies in zig zag pattern. Place pecans on top of the brownies and press them gently into the caramel. Let brownies completely finish cooling and then serve. Goes great with vanilla ice cream! Just a simple recipe for adding a little extra to the box of brownies you decided to pull out of your cupboard to make! 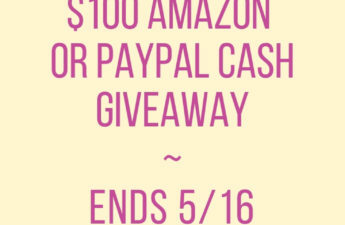 Be sure to check out www.WerthersCaramelShoppe.com for savings, recipes and more! You can also find Werther’s Original on facebook! 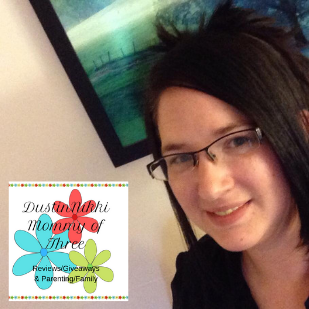 I will have more yummy caramel recipes coming up – I will be posting more so watch out for them! Disclaimer: I was not compensated for this post. 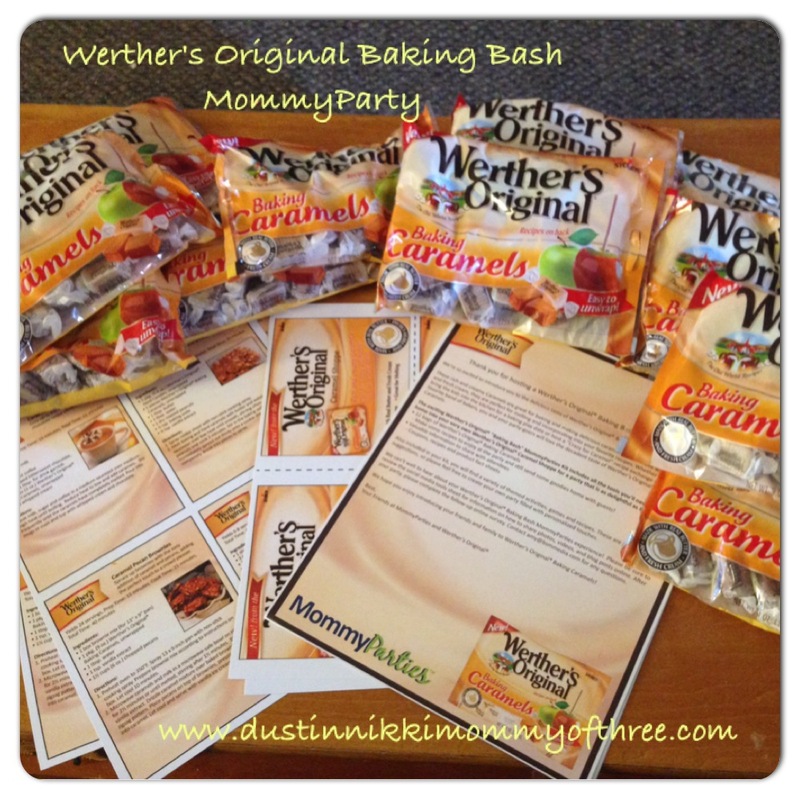 I received free Werther’s Original products in order to host the Werther’s Original sponsored MommyParty. All opinions expressed in my post are my own.